Sabra Billups, a food science graduate student, has won the $2,000 grand prize in the third annual Oklahoma State University President’s Fellows Grand Three Minute Challenge (3MC). The grand challenge pits the top student competitors from earlier contests on campus against each other to present their thesis (Three Minute Thesis®) or presentation (Three Minute Presentation) quickly and clearly, while keeping the audience’s attention. Billups won with her presentation “Antimicrobial Ice Sanitation.” In the process of competing, she also refined valuable skills that will help further her career. The 3MC College Participation Traveling Trophy went to the Center for Veterinary Health Sciences for the second year in a row. The trophy recognizes the college with the highest percentage of their students participating in the OSU 3MT® and 3MP competitions. The 3MC is sponsored by the OSU President’s Fellows, a unique society of passionate and loyal OSU alumni and supporters. This group supports the larger priorities of the university through the leadership of President Burns Hargis and provides resources that allow projects and initiatives related to the ongoing transformation of the OSU campuses. An addition to this year’s event was the presentation of the Three Minute Idea (3MI) awards video contest. 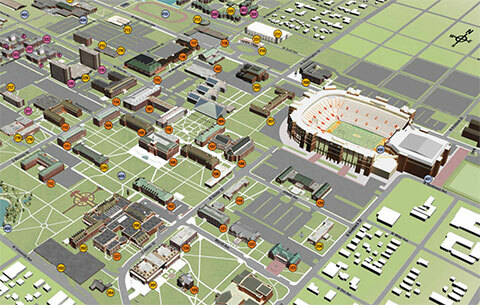 The 3MI, which is sponsored by Richard Cochran, is the newest addition to the three minutes challenges at OSU. Students submitted a three-minute video describing their research or subject of interest. Christine Fuston won the Judge’s Choice Award with her video “Why Coming Out Is Important,” and Ayantika Sen won the People’s Choice Award for her “Role of Estrogen in Protecting Against Urinary Tract Infections” video. Each received a $500 prize. The 3MC is coordinated by the OSU Graduate College, where the goal is for every graduate student to acquire the skill of explaining what they do as practitioners of their graduate education and its relevance to furthering the public good by participating in a 3MT® or 3MP competition during their graduate studies at OSU concluding with the President’s Fellows Grand Three Minute Challenge. Videos of individual presentation can be viewed online by going to OStateTV (https://ostate.tv) and entering “2018 3MC” in the search option.